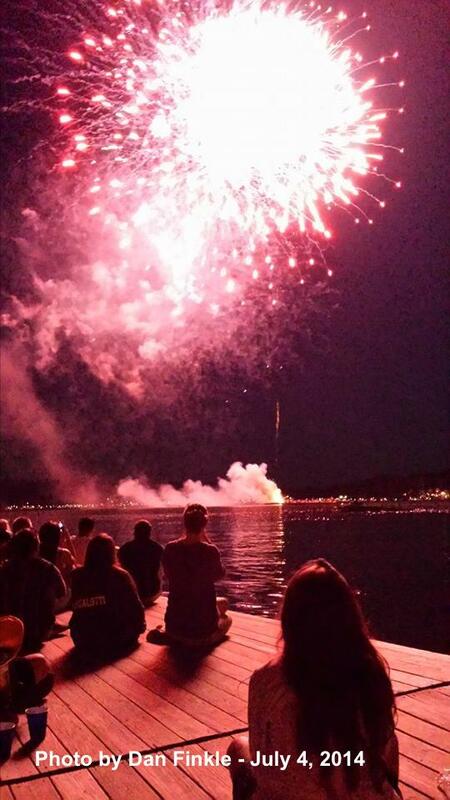 Spectators watch the fireworks from Winona Parkway, above the Lake Mohawk Plaza. The crescent moon shines over the scene at upper left. Photo courtesy of Erik Aronson. 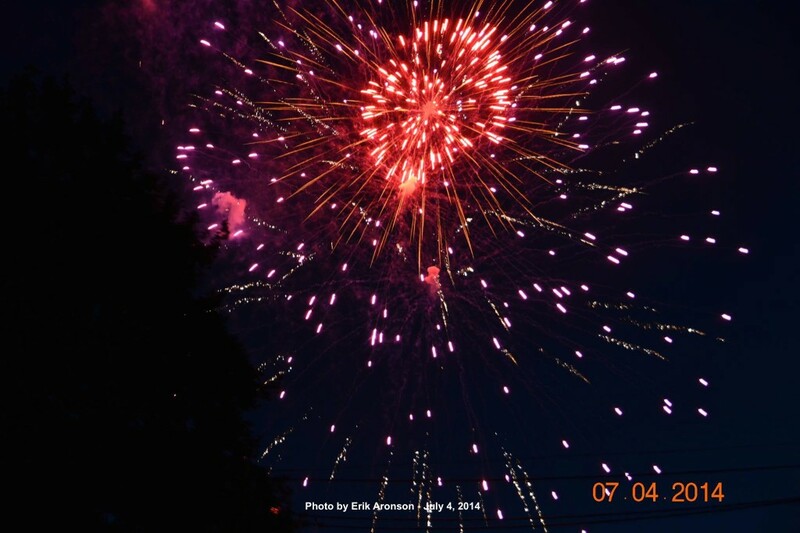 SUSSEX COUNTY, NJ – Friday’s July 4 celebration ended up much better than what was anticipated first thing in the morning. Actually, no one was really sure what to expect of the weather early on, because of happenings the day before, and even that day, due to Hurricane Arthur. However, the rain cleared out and residents from all around the area, celebrated the holiday in various venues, and various ways. A few readers have shared some of their images for NJInsideScene.com readers. If you have any you would like to add, please contact us through the NJInsideScene.com Facebook Page (click here) or editor@insidescene.com. 1) Two perspectives of Lake Mohawk. 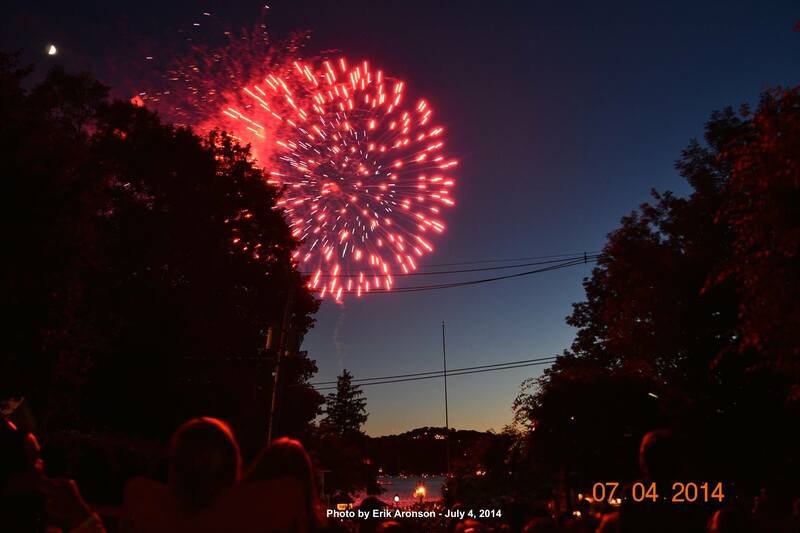 Lake Mohawk celebrates July 4 annually with a fireworks spectacular that is said to rival that of the one in New York City. 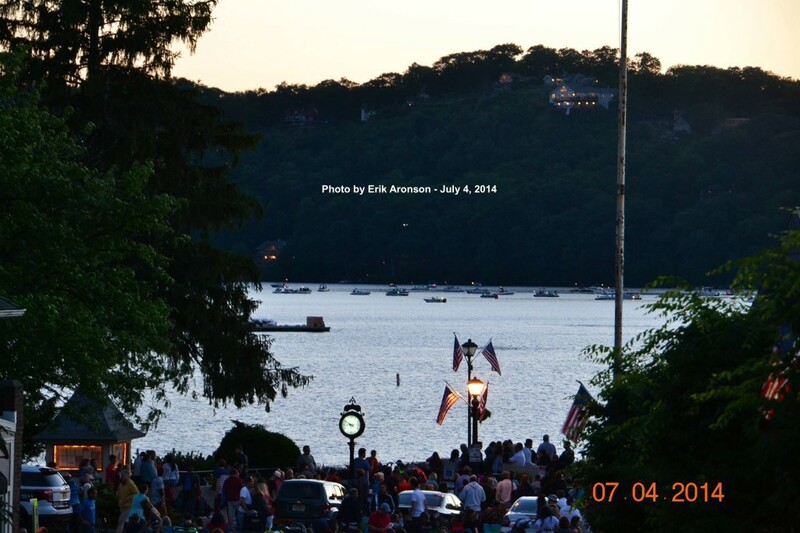 Lake Mohawk Country Club members gather along the Boardwalk and beaches, and park their boats in the lake to watch the show, for the best view. Others host parties in their homes, which also offers a stellar show. Pictured are two perspectives, one from a spectator photographing from Winona Parkway, just above the Lake Mohawk Plaza, the other from Beach One, which is adjacent to the Lake Mohawk Country Club and Boardwalk. Dusk falls on Lake Mohawk, as the lights begin to glimmer and the crowd gathers. Photo courtesy of Erik Aronson. The sky is illuminated with fiery colors, in a spectacular display. Photo courtesy of Erik Aronson. A red glow is cast on spectators, as they watch the grand finale. Photo courtesy of Erik Aronson. 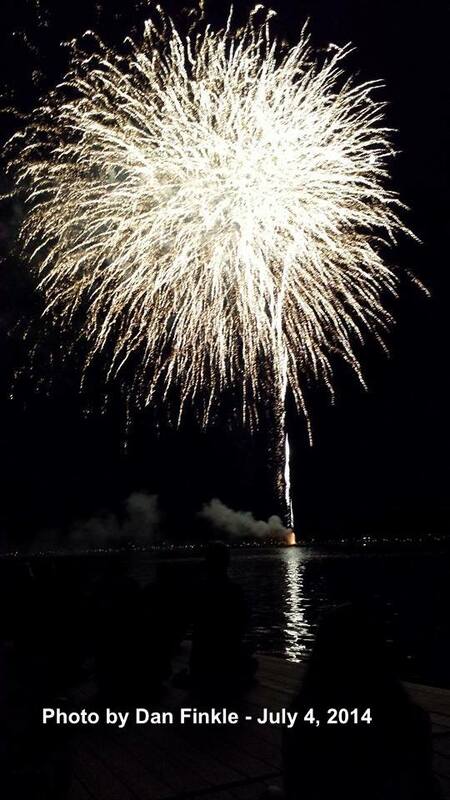 A view from Lake Mohawk’s Beach One, as white fireworks reflect on the water. Photo courtesy of Dan Finkle. Spectators watch from a dock near Beach One in Lake Mohawk. Photo courtesy of Dan Finkle. 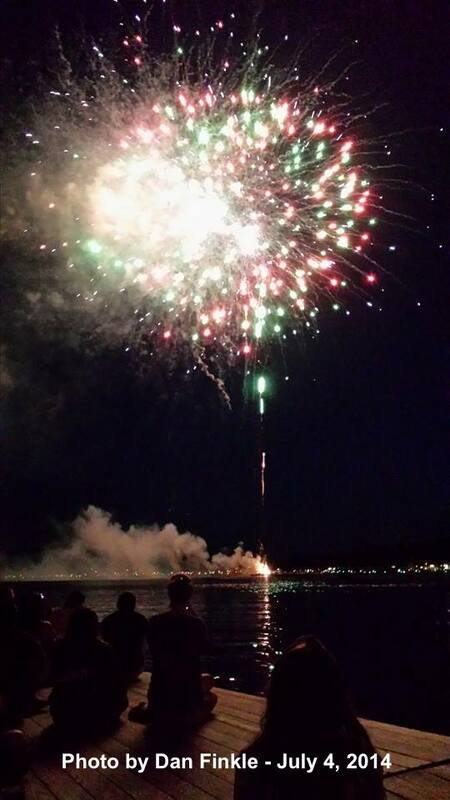 A cascade of colors shines over Lake Mohawk. Photo courtesy of Dan Finkle. Cookouts with friends is a way most celebrate United States Independence on July 4. Burgers, steaks, hot dogs, and more are some of the special fare reserved for this momentous day. 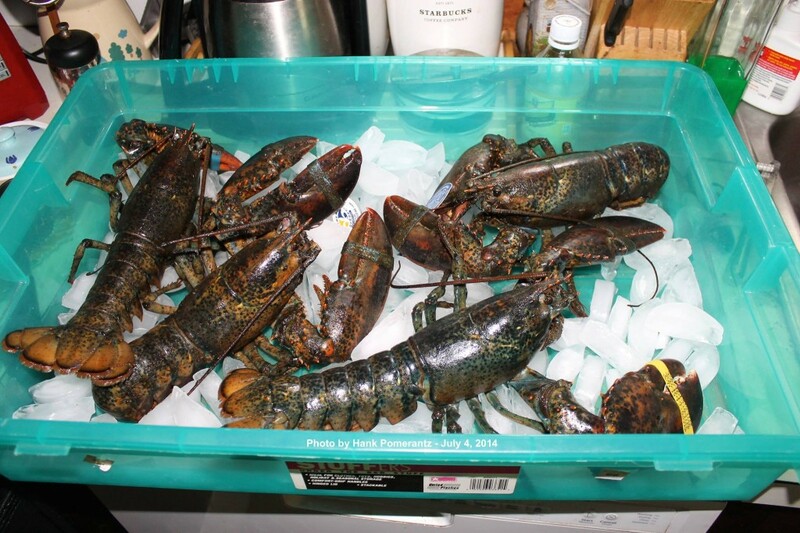 These lobsters on ice were part of Hank Pomerantz’s July 4th celebration. Photo courtesy of Hank Pomerantz. Hank Pomerantz enjoyed lobster with guests at his home, on July 4th. He said these lobsters were prepared in a boil with pickling spices and Zatarain’s spices. 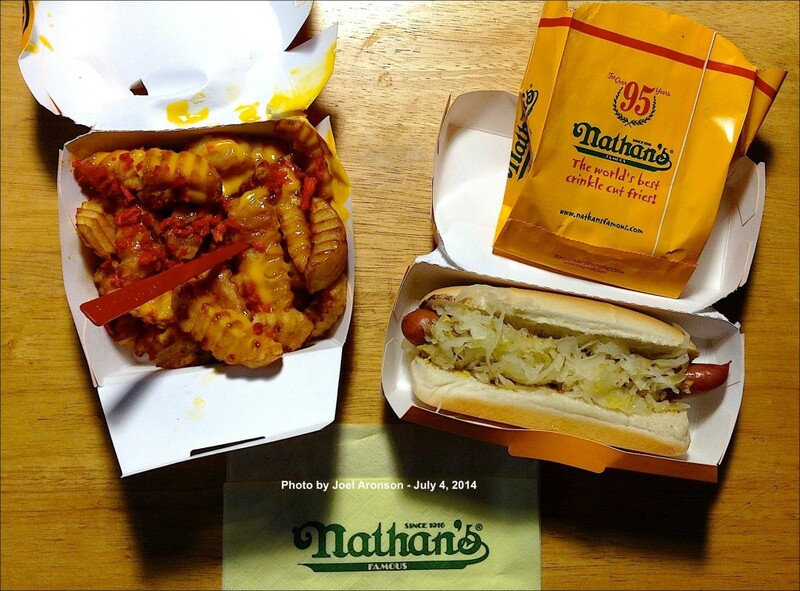 Joel Aronson celebrated July 4th Coney Island style, with a Nathan’s Hot Dog and Cheese Fries. Photo courtesy of Joel Aronson. Joel Aronson grew up in Brooklyn, and celebrated several July 4th’s at Coney Island, home of the authentic Nathan’s Hot Dog. Each year he marks July 4th with a dog from Nathan’s, with a stop at the Rockaway Mall. He purchased a side of cheese fries, and added bacon to it. He finished off his meal with some funnel cake. 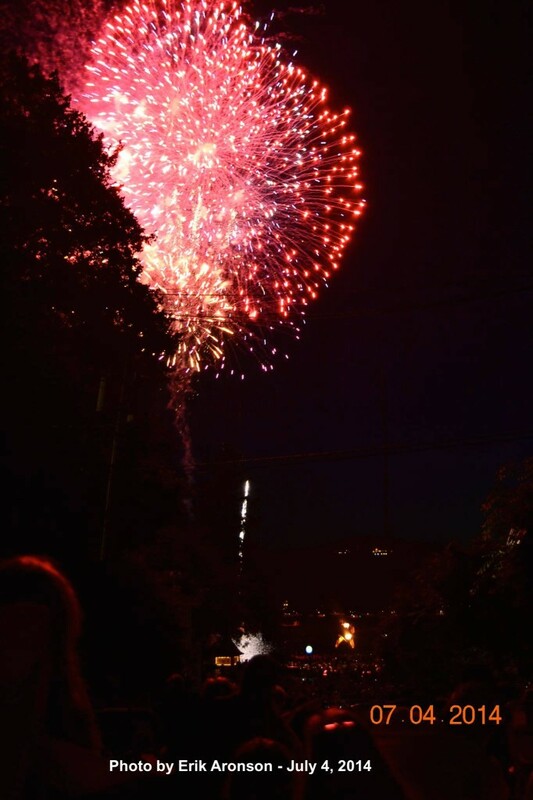 Some from our reading area celebrated the 4th at venues outside of Sussex County, and even New Jersey. 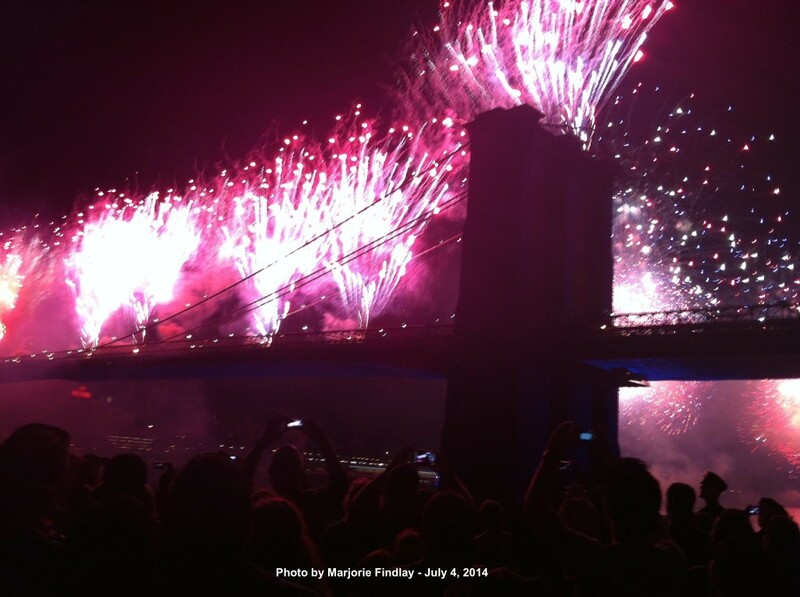 Marjorie Findlay shared her pictures with us, which she took from the FDR Drive, near the Brooklyn Bridge, of the Macy’s Fireworks. 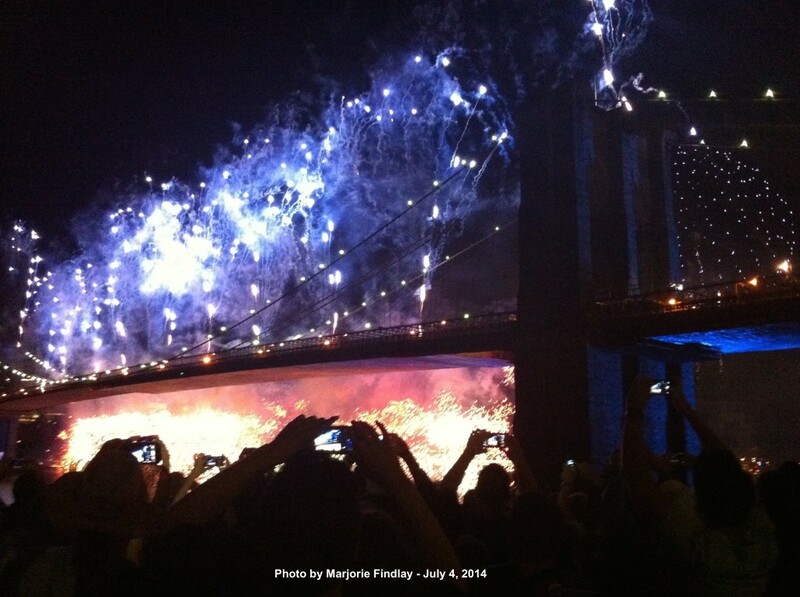 Patriotic colors flood the Brooklyn Bridge in a spectacularly illuminating display. Photo courtesy of Marjorie Findlay. Spectators watch in awe, and take photos, of the light display over the Brooklyn Bridge. Photo courtesy of Marjorie Findlay. 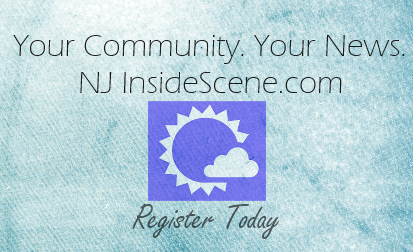 Stay on the scene with NJInsideScene.com and click here to follow us on Facebook!